NORAC is centered in Vernon in the Okanagan Valley of British Columbia's South Central Interior. 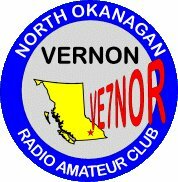 With over 60 members, our Radio Amateur Club provides communications for events throughout the Okanagan including the Vernon Winter Carnival Parade and Falkland Stampede Parade. Club members are active in virtually every facet of the hobby. We maintain several analog and digital VHF & UHF repeaters, we also operate IRLP & Wires-X nodes, plus APRS trackers / digipeaters. Become a Member or Renew your membership by clicking Join NORAC on the menu to the right. POTA - Silver Star Provincial Park Activated!